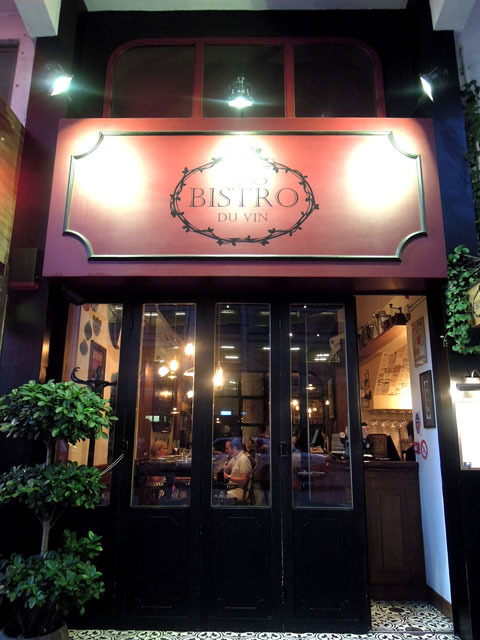 Operated by Les Amis Group, who also run Pizza Piccolo next doors and Cépage on Star Street, Bistro du Vin is a charming restaurant that serves authentic French cuisine on the up-and-coming Davis Street in Kennedy Town. 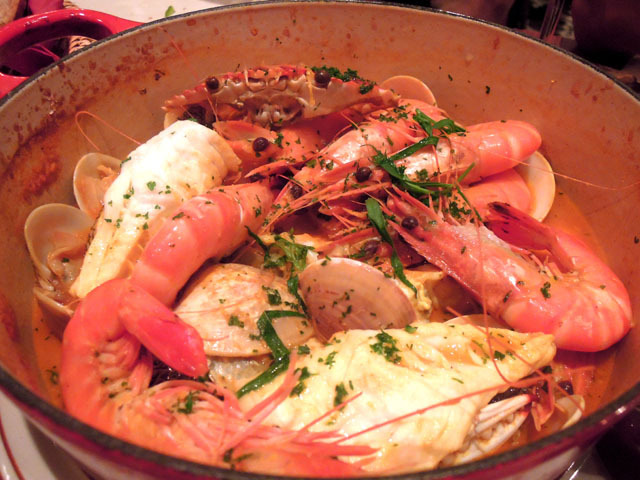 As there are not too many French bistros in Hong Kong, this restaurant caused quite a stir when it opened in 2012, attracting a hip crowd with its BYOB policy and its breezy, laid-back decor. 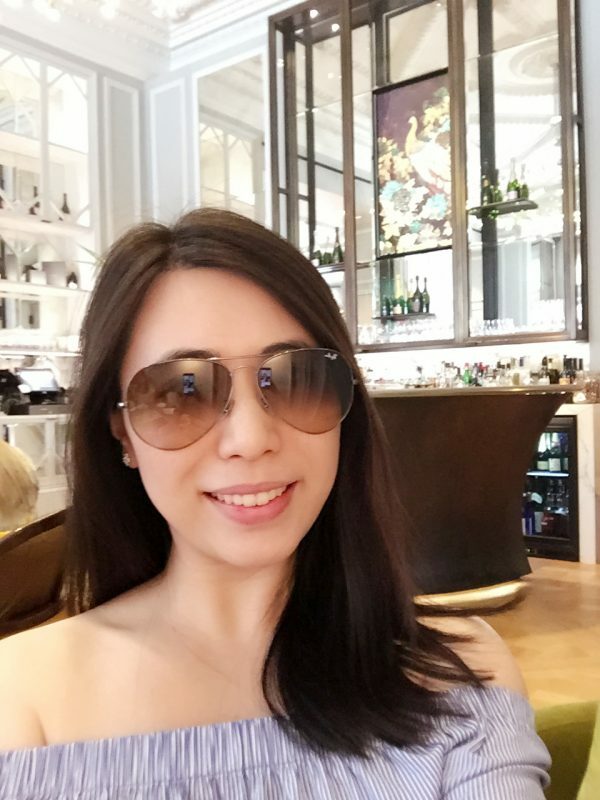 The restaurant is small but chic, with wooden furniture and a quaint little wine cellar at the back of the restaurant completing a classic, stylish set up. The service at the restaurant was a bit stiff, but the prices are very reasonable – a typical dinner will set you back around $300-$400 per head. 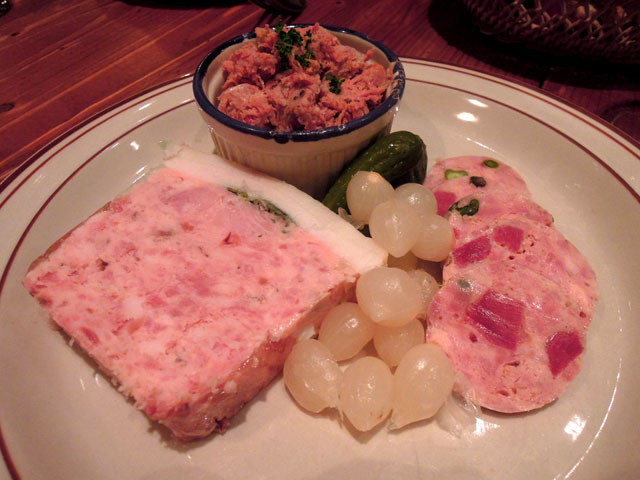 (1) Our meal kicked off with some Homemade pork pâté, duck pâté and duck rillettes ($180). The pâtés and duck rillettes were flavour-packed and deliciously moist, with a level of saltiness that made it excellent to go with bread. 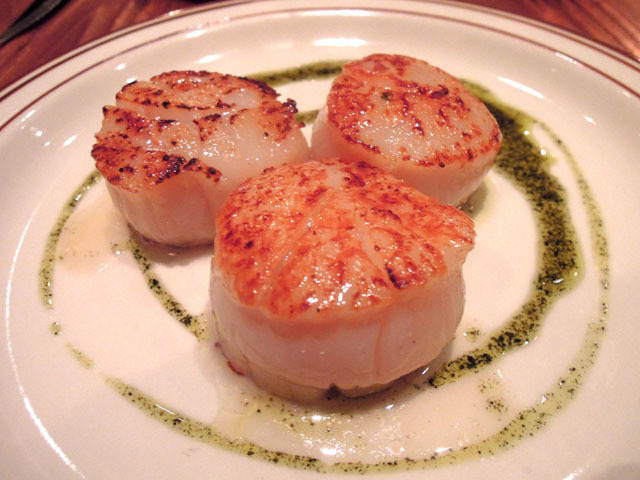 (2) The Pan-seared scallops with seaweed butter ($170) were nicely grilled and exquisitely tender. The refreshing taste of seaweed butter lingered on the palate. (3) Just in case it sold out, we pre-ordered a portion of Bouillabaisse ($600, for two). 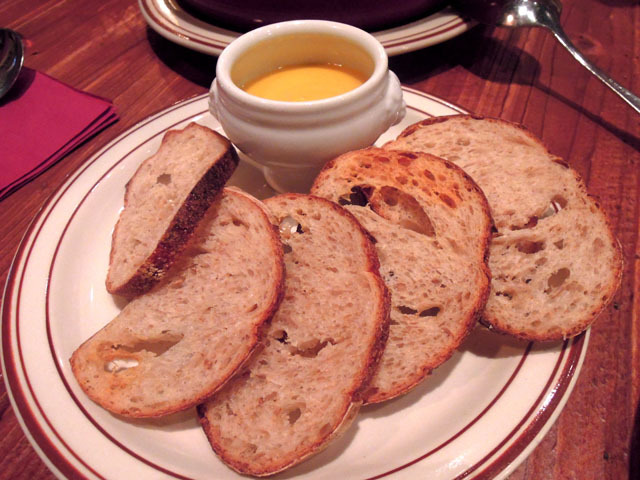 The serving was generous, and it also came with some bread. The broth was packed with sea-fresh flavours, and I particularly enjoyed eating the fish, which flaked beautifully. 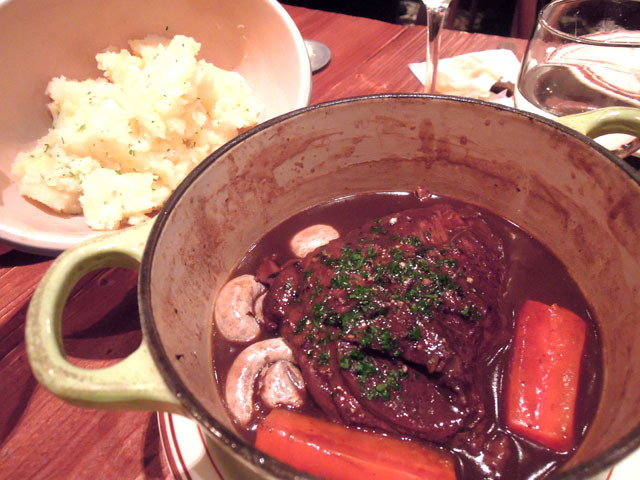 (4) The Braised beef cheeks with fourchette potatoes ($250) followed. Served in a smart Le Creuset cast iron pot, the beef cheek was marvellously tender and melted in the mouth, and the sauce had a lot of depth. The fourchette potatoes were a tad bland on their own, but tasted just right when eaten together with the beef cheeks. (5) The Crispy Suckling Pig Confit, Choucroute ($230) arrived next. 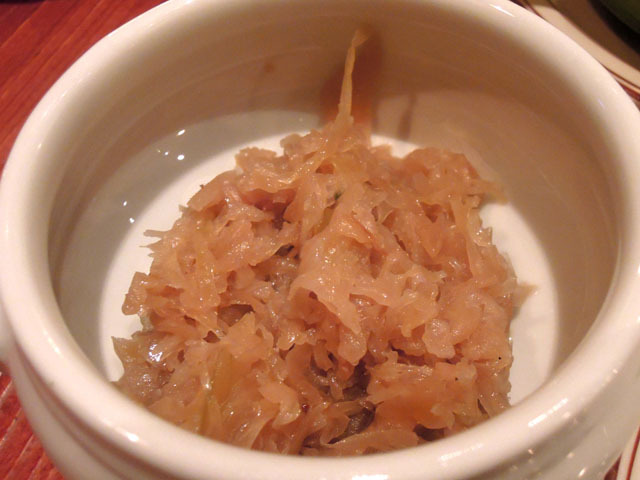 The pig’s skin was crispy, and underneath were strands of tender meat that fell effortlessly apart. 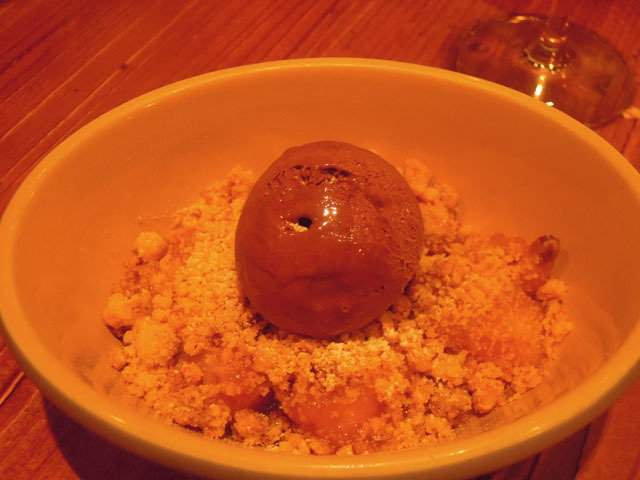 (6) We shared a simple Banana crumble ($60) for dessert. The bananas were soft and mushy, and were an excellent match with the chocolate ice cream. It could rival the awesome Banana Fosters that I had at Restoration. 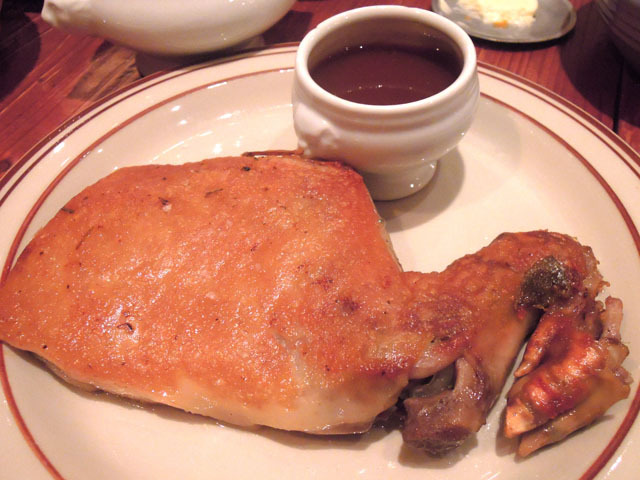 Bistro du Vin is a restaurant that offers well-executed, delicious French fare in a non-pretentious setting. It could be difficult to secure a booking during weekends, but if you do manage it, bring a few bottles of wine and have a great night out with your friends!